Sanchez Paving is committed to the most environmentally friendly forms of paving when applicable. 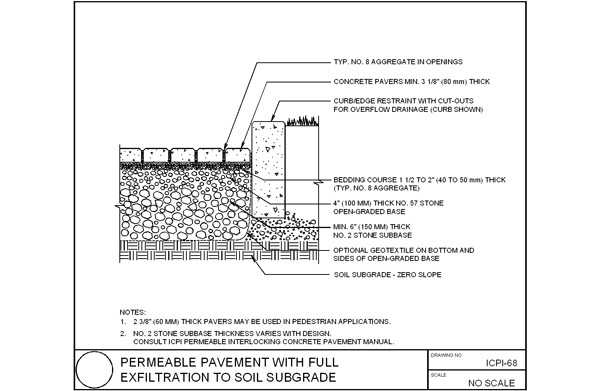 Permeable interlocking concrete pavement (PICP) consists of manufactured concrete units that reduce stormwater runoff volume, rate, and pollutants. The impervious units are designed with small openings between permeable joints. The openings typically comprise 5% to 15% of the paver surface area and are filled with highly permeable, small-sized aggregates. 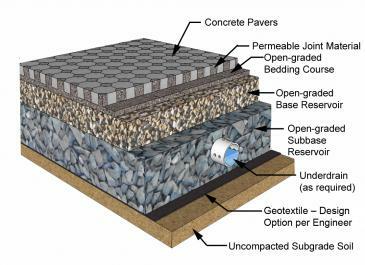 The joints allow stormwater to enter a crushed stone aggregate bedding layer and base that supports the pavers while providing storage and runoff treatment. PICPs are highly attractive, durable, easily repaired, require low maintenance, and can withstand heavy vehicle loads.